A flock of Israeli settlers on early Thursday morning stormed Burak Suleiman (Solomon’s Pools) in al-Khader town, in Bethlehem, under the religious pretext. 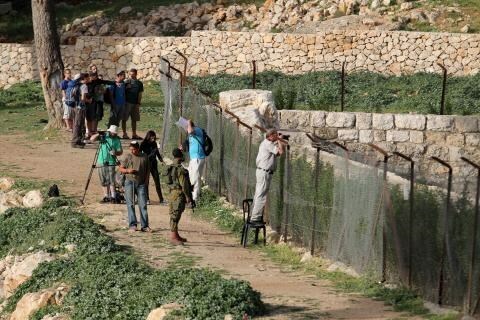 Dozens of Israeli settlers, escorted by army officers, broke into the historic Burak Suleiman on allegations of intents to perform religious rituals and bathe in the holy pond waters, eye-witnesses told the Quds Press. According to Israeli narratives, the three pools of Solomon were built with massive stones that date back to the time of King Herod, some 3,000 years ago, as part of endeavors to exploit to the full the available resources and supply Jerusalem with as much water as needed. Historiographers, however, confirmed that historical records rather testify to the fact that the abundant water reservoirs were built by Suleiman the Magnificent in the 16th century. Earlier, overnight Wednesday, the Palestinian natives of Bethlehem stood on their guard to Israeli attempts to build an access road near al-Khader town as part of intents to set the stage for Israel’s misappropriation of some 400 dunums in favor of illegal settlement outposts. Ahmad Salah, coordinator for the popular committee against the wall and settlement in Khader, said the local mayor and himself managed to prevent the Israeli vehicles from carrying out the construction works, warning of the striking upsurge in Israel’s illegal misappropriation of Palestinian land tracts in favor of settlement construction. Head of the Local Council of the al-Khader town, south of Bethlehem, has reported, Thursday, that a group of Israeli extremists from an illegal Israeli outpost started digging a road on Palestinian lands to link it with their outpost. The mayor, Tawfiq Salah, said the assailants starting digging the road in Ein al-Qassis area, near their illegal Sidi Boaz outpost. Salah added that local residents noticed the attackers, and managed to stop them after they leveled nearly 200 meters of lands. The official said that completing this road would lead to the illegal annexation of an entire mountain of approximately 400 Dunams (98.84 Acres) of Palestinian lands, and would also lead denying the Palestinians access to their lands in Wadi al-Ghaweet area. The area has been subject to frequent attacks that also included illegal annexation of lands, assaults on farmers, and uprooting dozens of trees. Israel has been trying to illegally annex large areas of Palestinian lands, especially since al-Khader is near the Jerusalem-Hebron road, as Tel Aviv is aiming at using the lands in its so-called “Greater Jerusalem” colonialist project that extends, in this area, to the northern parts of the southern West Bank city of Hebron. Israeli forces, Wednesday, took over a thousand dunams of Palestinian-owned land located between the towns of Beit Ummar and Beit Fajjar, in the Hebron district, for the benefit of settlement expansion, according to a local activist. 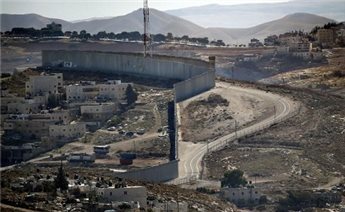 Anti-settlement activists in Beit Ummar, Yousif Abu Maryya, informed WAFA Palestinian News & Info Agency that Israeli forces, along with settlers from the nearby illegal Israeli settlement of ‘Migdal Oz’, placed a 2,600-meter-long fence around one thousand dunams belonging to Palestinian farmers in the area to expand the aforementioned settlement. He said that farmers and land owners gathered at the scene and attempted to prevent the bulldozers from razing the land, but were prevented by Israeli soldiers who denied them access to the area. The al-Aqsa Foundation for Endowment and Heritage warned of Israeli bids advised by the so-called temple mount organizations to officially turn the Tankaziya School's Chapel, at Muslims’ holy al-Aqsa Mosque, into a Jewish synagogue. The Israeli occupation authority (IOA) turned the chapel into a synagogue for its enlisted soldiers and a military site for the so-called border guards since 1969. In an urgent letter dispatched to the Jerusalem District Police, lawyer Aviad Visoly, head of the Temple Mount Coalition, pushed for allowing temple mount organizations to enter the Tankaziya School’s chapel on grounds that it is a synagogue and a holy site for Jews. Israeli media sources said the lawyer threatened to sue the Israeli police in case his demand, based on the so-called Protection of Holy Places Law, is not met within 24 hours. The lawyer reportedly wrote the letter after he was denied access into Muslims’ the al-Aqsa Mosque on Sunday and also after an Israeli officer banned him, along with a horde of Jewish settlers, from entering the Tankaziya School. The lawyer claimed the Tankaziya building is a unique Jewish synagogue as it is the only holy site in the world located within the borders of the Temple Mount and the unique destination of a set of Jewish rituals. Head of the al-Aqsa Foundation, Amir al-Khatib, meanwhile, warned of the serious repercussions of such sacrilegious moves. “What should we understand of Israel’s frequent proposals and bids turning part of the al-Aqsa Mosque into a Jewish synagogue after it was misappropriated by the Israeli occupation and transformed into a military site and, at times, a synagogue?,” al-Khatib said. He called on the concerned parties to immediately step in and work on thwarting such dangerous schemes. 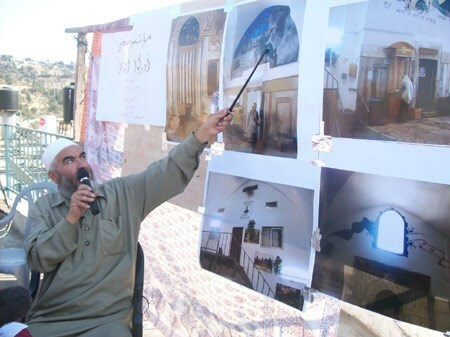 Earlier Sheikh Raed Salah, the leader of the Islamic Movement in 1948 occupied Palestine, and the Aqsa Foundation warned of Israeli intents to Judaize the Tankaziya School and chapel and to establish the world’s largest synagogue over its roofs as part of a so-called Kedem Yerushalayim plan. An Israeli committee has approved controversial plans for eventual construction of 2,200 Palestinian homes in occupied East Jerusalem, a spokeswoman said Wednesday, in the largest such project since 1967. NGO Ir Amim described the plan to develop the Arab Al-Sawahra neighborhood as the largest planning procedure for East Jerusalem Palestinians since Israel seized the territory in the Six-Day War. AFP reports that Aviv Tatarsky, a researcher for Ir Amim, which works for an "equitable" sharing of Jerusalem between Israelis and Palestinians, hailed the move, approved Monday by the interior ministry's district committee. A municipal statement said the plan was part of "Mayor Nir Barkat's policy of unifying Jerusalem by reducing the gaps existing in the eastern part of the city, upgrading the standard of living and assuming responsibility for all activities ... in Arab neighborhoods." The plans were put forth by Barkat in 2009, but were not advanced due to objections from right-wing politicians until Sept. 2014, when they were approved by Jerusalem's Israeli local planning committee. According to Tatarsky, they enable Palestinians to build homes on their privately owned lands by rezoning from "open space" to "residential." A major strategy of Israeli limitation on Palestinian building rights has been through the rezoning of their private land to "open space," which allows the state to demolish their homes if they engage in any construction. Open land is regularly rezoned to residential for Jewish settlements built in the area, however. Tatarsky said that Palestinian landowners will now be able to plan the homes and receive approval and that it would take years until construction can begin. He said Palestinians in East Jerusalem suffer severe shortages of private and public structures due in part to Israel's control over the occupied territory. While the plan does not solve the entire shortage of homes in East Jerusalem, "it is an important initial step" for which Barkat deserves credit, Tatarsky said. Barkat's master plan there includes construction of homes as well as roads, infrastructure and public institutions, and is an attempt to stem a widespread phenomenon of illegal building, the municipality said. Israel seized East Jerusalem from Jordan in the 1967 war and later annexed it in a move never recognized by the international community. It refers to Jerusalem as its "united, undivided capital" and does not see construction in the eastern sector as settlement building. Last month, Prime Minister Benjamin Netanyahu pledged to build thousands of homes for Jewish settlers in East Jerusalem, to prevent future concessions to the Palestinians. The international community recognizes East Jerusalem as occupied Palestinian territory. District Planning and Building Committee invites submission of master plan for building thousands of housing units in Jabel Mukaber; right-wing activists: Plan helps divide Jerusalem. 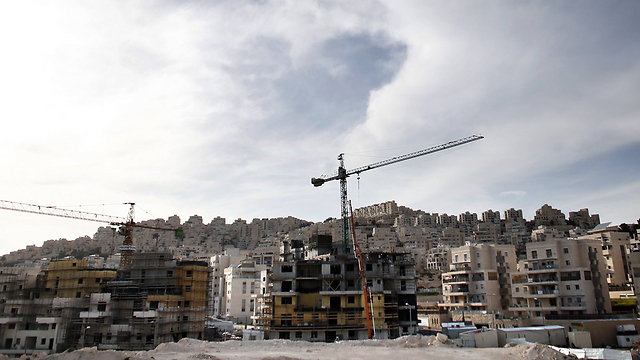 The Interior Ministry's District Planning and Building Committee on Monday invited the submission of a master plan for the construction of 2,200 new housing units for the Arab sector in the East Jerusalem neighborhood of Jabel Mukaber. As part of the plan, several hundreds of housing units built illegally will also be retroactively approved. The decision was approved despite strong objection from right-wing activists. Aryeh King, a member of the Jerusalem city council who is leading the charge against the plan, sent an urgent letter to Interior Minister Gilad Erdan on Sunday, claiming there are issues with the project, because in reality, according to him, many more units will be built than initially planned. The plan allocates an area of some 1,500 dunman between Jabel Mukaber and Abu Dis for the construction of housing units. The project also includes areas allocated for commercial and employment centers, public buildings, schools, new roads and new parks. The "American road" will also be developed as part of the plan, a central traffic artery for east and south-east Jerusalem, along which commercial and employment centers will be developed. The district committee had also been scheduled to discuss the construction of 1,500 housing units in Jewish East Jerusalem neighborhood of Har Homa, but the meeting on that project was cancelled last week without explanation. Planning and Building officials said the Har Homa plan was frozen for political reasons, noting the order not to hold the meeting came from above. The Construction Ministry claimed there was no professional reason to cancel the meeting, while the Prime Minister's Office claimed the plans were not presented to them. Right-wing factions in the Jerusalem municipality made several different attempts to stop the Jabel Mukaber plan's approval. According to King, "the state is approving construction of thousands of housing units for Arabs while at the same time freezing construction for Jews in the city's eastern parts." King noted that in reality, the plans create a "territorial contiguity" of Arab neighborhoods between Abus Dis and Jabel Mukaber and with that helps divide Jerusalem. "If we were wondering whether the mayor of Jerusalem was right- or left-wing, today we got our answer," he said. King defined the state's policy as "zero enforcement" and "a reward for construction criminals." In the letter he sent Erdan, King presented correspondences between the Interior Ministry and the Jerusalem municipality, which raise claims that the plan contains significant planning problems. According to King, the area allocated for the plan and the density of buildings will eventually lead to four times the number of housing units being built. "The plan uses green areas unnecessarily. The same number of housing units can be built in about a quarter of the area in buildings built at the acceptable height," King said. Right-wing activists' plans to take the plan off the district planning committee's agenda were unsuccessful. Four months ago, city councilman Moshe Leon submitted a request to hold another meeting on the plan, but his request was denied. King, and the NGOs "Tevel b'Tzedek," "Green Now" and "The Legal Forum for Israel," also petitioned the Administrative Affairs Court, demanding the cancelation of the district planning committee's decision to adopt the plan. At the court hearing, Jerusalem municipality representatives rejected the claims made by opponents of the plan, saying the plan was vital for Jerusalem, which is in the process of resolving systematic planning failures that have been going on for years. "The plan was approved as part of Mayor Nir Barkat's policy of a united Jerusalem, which will be achieved by narrowing the gaps in the east of the city, upgrading the quality of life and taking responsibility for Arab neighborhoods in all walks of life - planning and construction, infrastructure, education, welfare and cultural, social and community activities," the municipality's representatives said. The municipality representatives went on to say that, "the lack of planning led in recent years to a wide-spread phenomenon of illegal construction of some 20,000 structures, some built on public areas." This, they said, meant many residents were not paying construction levies, creating land registry problems. "In light of these failures, the mayor decided not to take the 'head in the sand' policy his predecessors took, and instead act to significantly change the situation," they added. The court dismissed the petition out of hand, saying it was too early to appeal the decision. 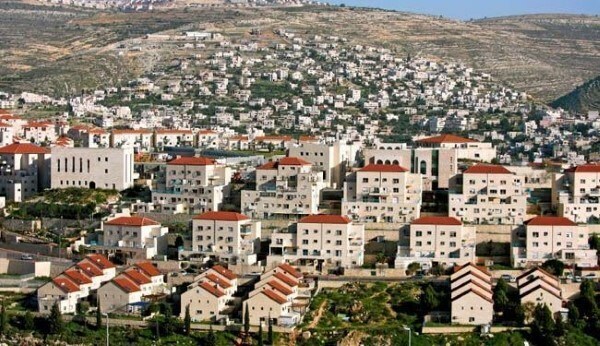 Hebrew sources disclosed on Friday that the Israeli occupation is preparing for the implementation of two settlement projects including 131 housing units in Occupied Jerusalem. The weekly Hebrew newspaper Kol Hair stated on Friday that two Israeli companies are working on the construction of two settlement projects; one in Har Homa in occupied Jerusalem and the other in northwest occupied Jerusalem. During the first quarter of the year 2015, an Israeli company sold sixteen housing units in Beit Fagan project, which is to be constructed on Har Homa outpost in Jerusalem, the newspaper said. It added that seventy seven housing units are expected to be built within Beit Fagan settlement project in five or six story buildings. 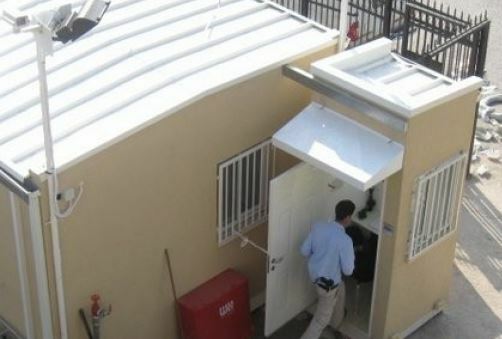 Twelve different housing units were sold as well in another settlement project, which is being established in Beit Horon outpost to the northwest of occupied Jerusalem. The Israeli construction firm which supervises the project revealed that a campaign is being lunched for marketing twelve other housing units. 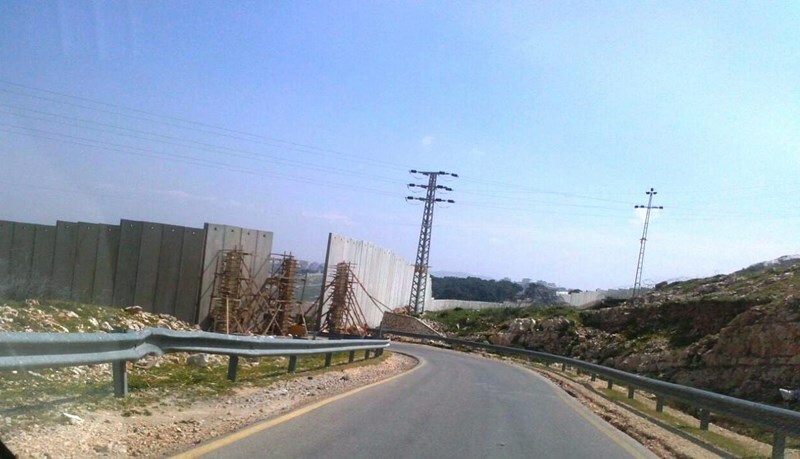 The Israeli Occupation Forces (IOF) have erected an iron gate at the main entrance to the Zaim village to the east of occupied Jerusalem as an attempt to completely isolate it from the holy city. Head of the village local council Naim Sob Laban expressed his surprise over the Israeli decision to erect an iron gate at the village’s entrance without any prior warning, under security pretexts. The iron gate would block the access of people coming from occupied Jerusalem without taking their expected suffering into consideration, he explained. He stated that the decision would turn the village into a big jail and completely isolate its residents. The village’s dignitaries have filed a lawsuit to stop the gate's construction; however, the building process is still continuing regardless of the judicial procedures. After erecting the iron gate, Jerusalemite citizens would be obliged to cross 4 to 5 km within an hour in order to enter into the village instead of two minutes. 98% of the village’s residents are Jerusalemites, he pointed out. The Israeli decision would negatively affect the economic situation in the village as it has a sole inlet and outlet, Sob Laban noted. 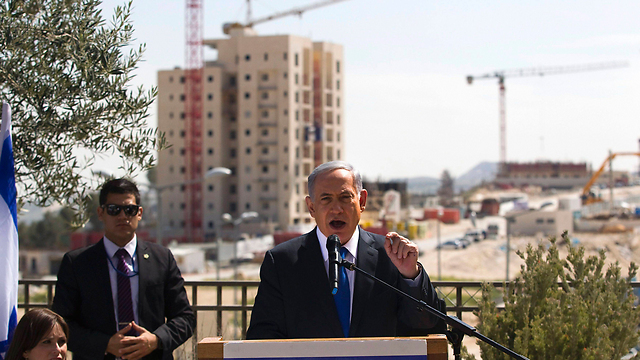 EXCLUSIVE: Some 1,500 new housing units Har Homa on hold due to political sensitivity, Netanyahu's office presses pause on discussions. Israel is freezing construction of 1,500 new housing units in the East Jerusalem neighborhood of Har Homa, beyond the Green Line, despite Prime Minister Benjamin Netanyahu's election eve declaration that building in Jerusalem would continue regardless of international pressure. The massive construction plan in Har Homa has been suspended "for neither planning nor professional reasons," Ynet has learned. The Ministry for Construction and Housing and Jerusalem municipality confirmed that two critical planning discussions set for the coming week on advancing the construction have been canceled for unknown reasons. Planning officials familiar with the details of the plan told Ynet that the program is not being advanced due to the political sensitivity and that there had been no approval from the Prime Minister's Office to hold the planning discussions. The construction is planned for private land west of the Har Homa neighborhood, between its existing homes and Hebron Road. 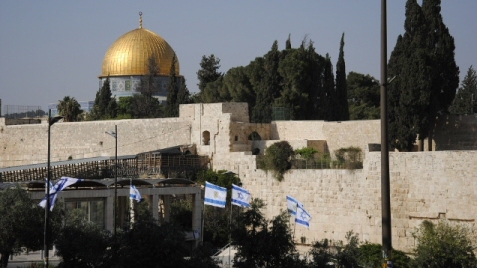 The land is earmarked for construction on Jerusalem's master plan with a provision for up to 2,000 units in the future. According to the Construction Ministry and Jerusalem Municipality, the project was due to be discussed Wednesday by the local planning committee, and was expected to receive Interior Ministry approval on Monday. But these two debates were canceled, the dismay of the project managers. According to a source connected to the project, the construction was advanced with a proviso for further housing units. Construction in Har Homa has previously been a cause of friction between Israel and the US, which views it as illegal under international law. Last Monday, the day before the Knesset elections, Netanyahu told supporters in Har Homa that he would not support the creation of a Palestinian state if he were re-elected. Following his election win, the prime minister attempted to downplay his comments, saying that he had not backtracked on his major 2009 policy speech, but only that he believed current conditions were not ripe for a Palestinian state. Israeli Prime Minister Benjamin Netanyahu vowed Monday that, if reelected, he will build thousands of settler homes in occupied East Jerusalem to prevent future concessions to Palestinians. Speaking ahead of Tuesday's general election on a whistle-stop tour of Har Homa, a contentious settlement neighborhood of annexed East Jerusalem, the PM vowed that he would never allow Palestinians to establish a capital in the city's eastern sector. "I won't let that happen. My friends and I in Likud will preserve the unity of Jerusalem," he said of his ruling right-wing party, according to AFP, vowing to prevent any future division of the city by building thousands of new settler homes. 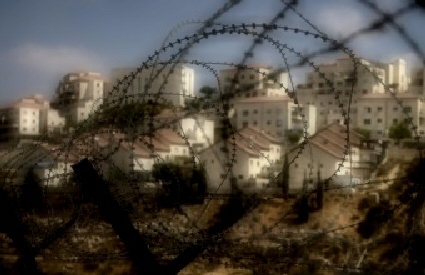 During the 2013 negotiations, Israeli officials announced, and, eventually, carried out in full force, plans to build thousands of additional homes in illegal settlements across the occupied West Bank, while continuing to further seize lands, demolish homes and agricultural resources and, thus, leaving scores of Palestinian families severely disenfranchised and without so much as a roof over their heads to shelter them from inclement weather. Critics of Israel's aggressively right-wing regime assert that such peace negotiations are simply used as a front for continued settlement expansion and military occupation, noting that settlement activity clearly increases during negotiations, while daily acts of violence against Palestinians, by both Israeli civilians and soldiers alike, remains as of yet unchallenged by the powers that be. Israel seized East Jerusalem in the 1967 Six-Day War and later annexed it in a move never recognized by the international community. Israel refers to both halves of the city as its "united, undivided capital" and does not see construction in the eastern sector as settlement building.